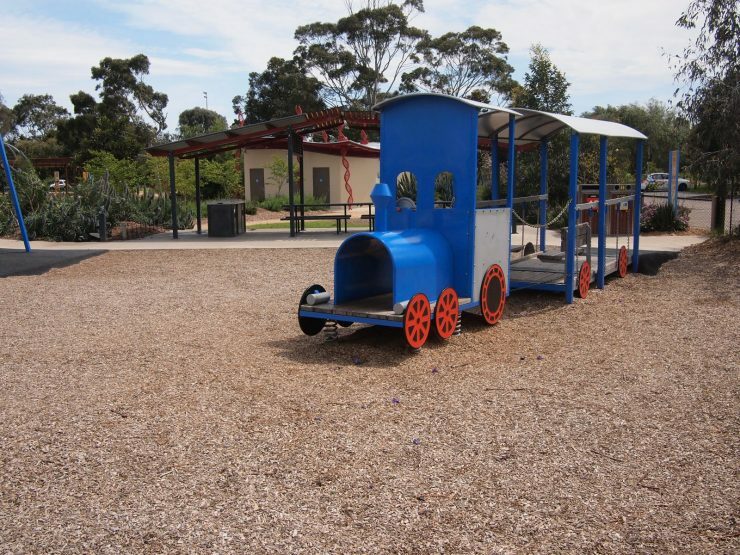 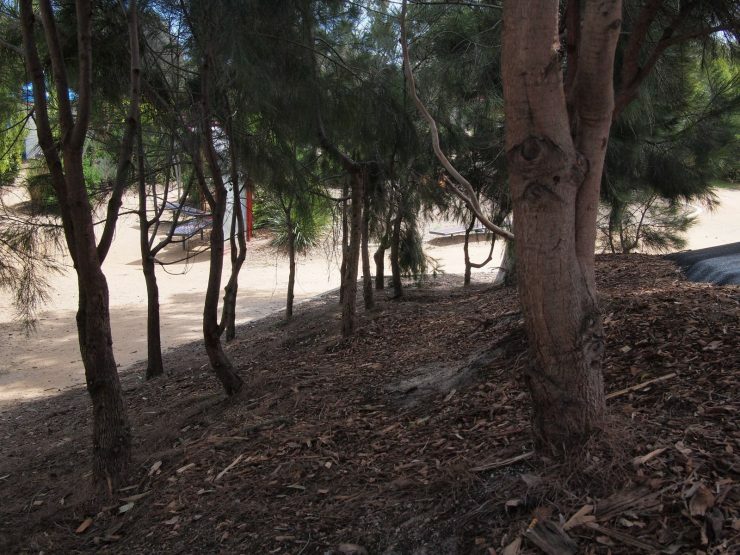 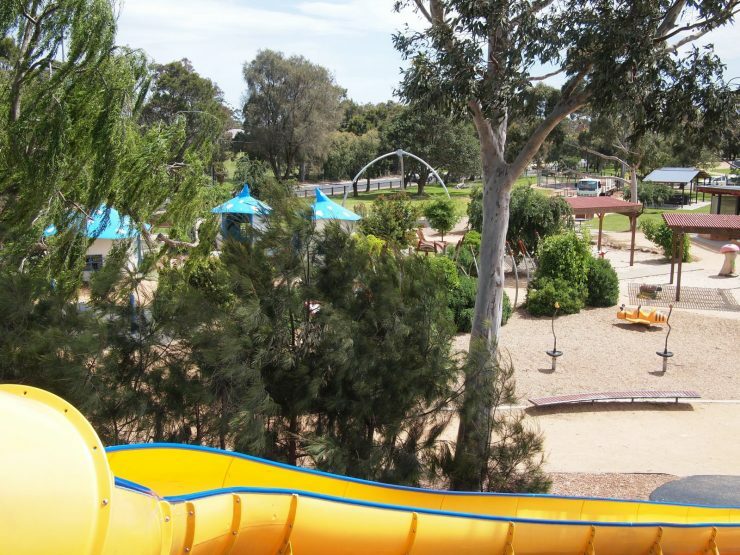 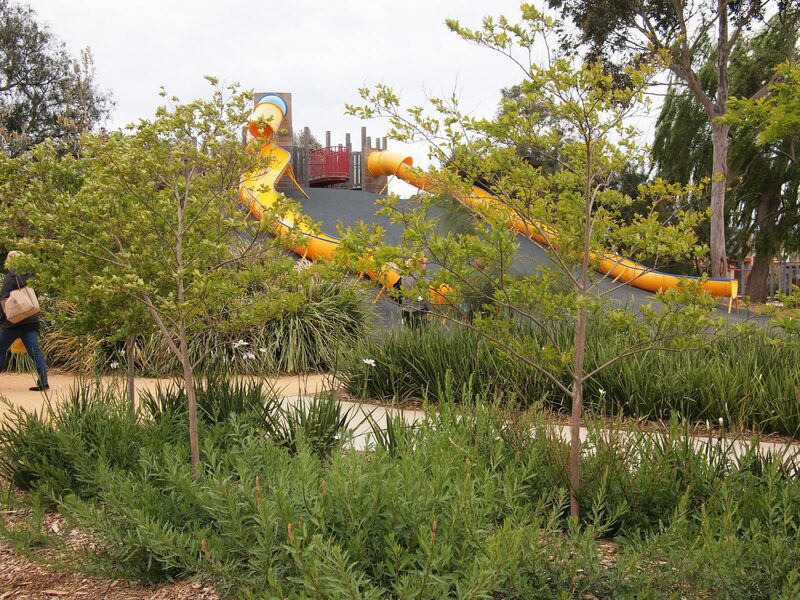 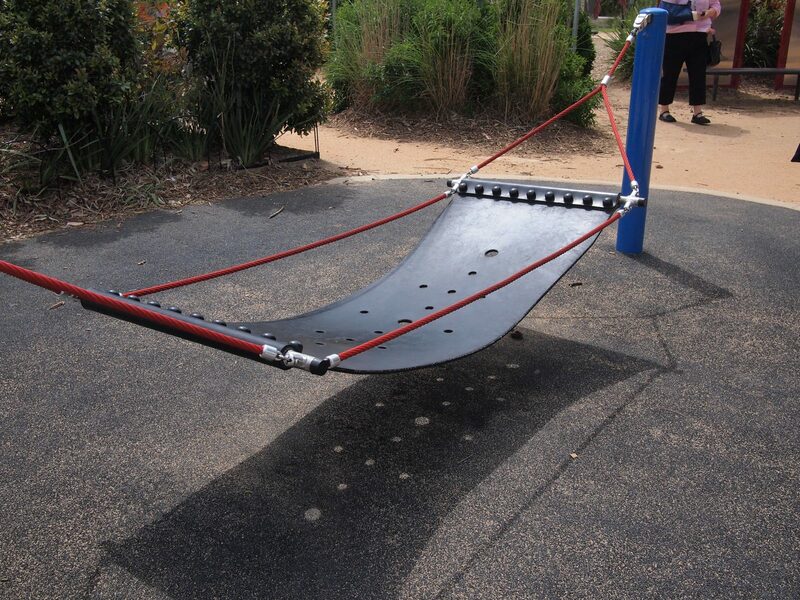 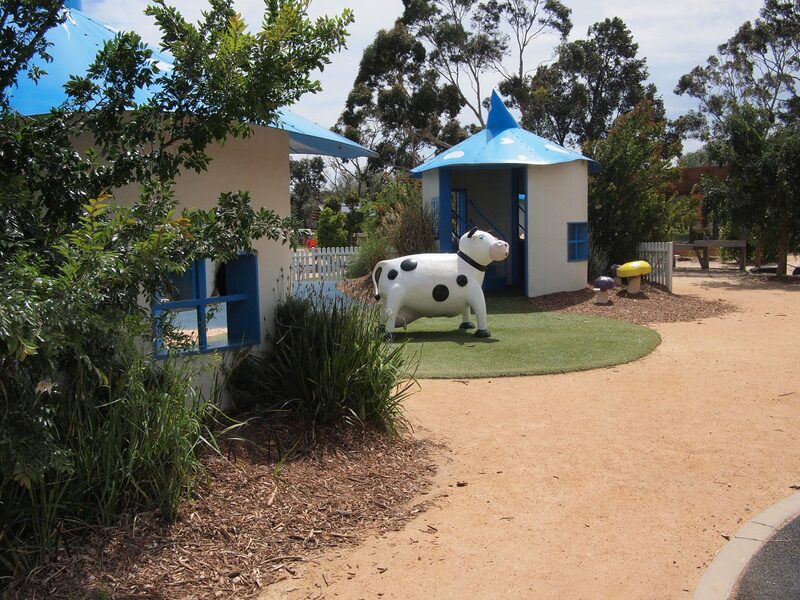 Bicentennial Park Playground is an old favourite with many locals who know the site as Mount Chelsea. 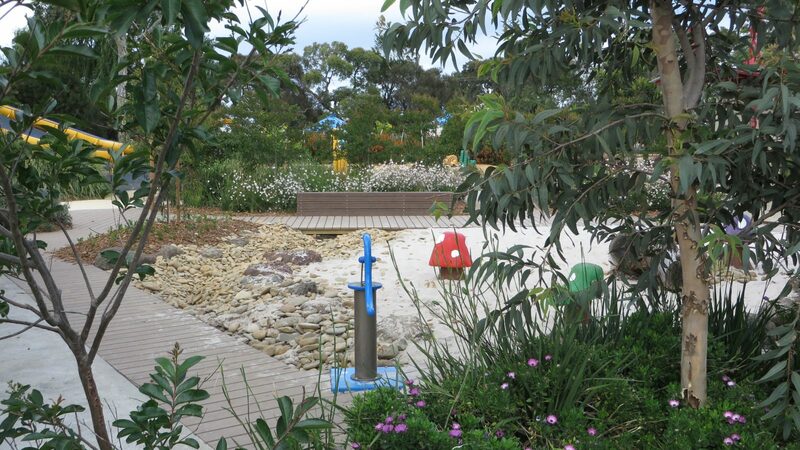 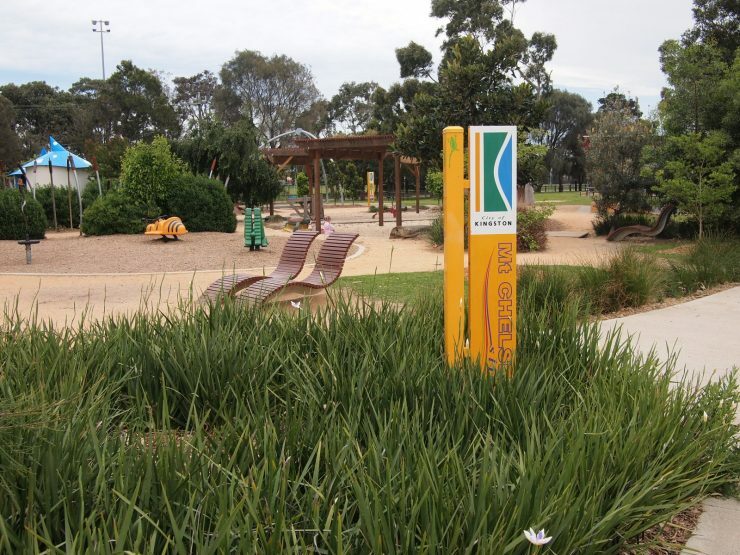 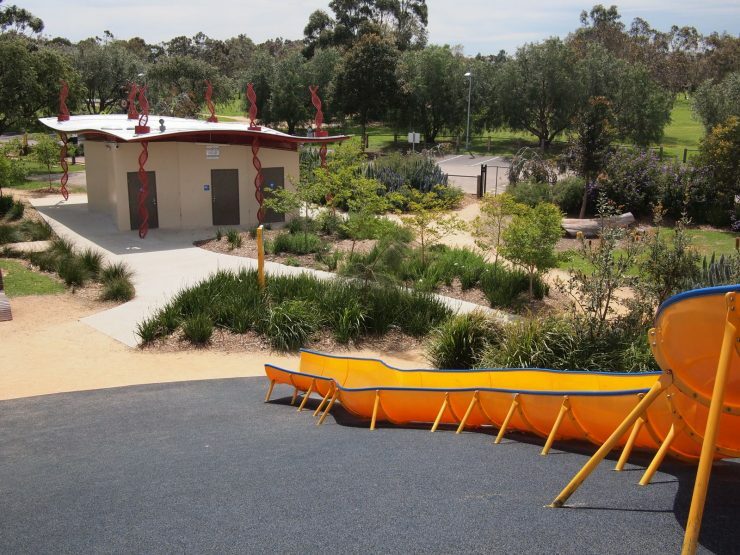 Jeavons Landscape Architects carried out the landscape planning and design documentation of the playground including schematic carpark layout. Diverse stakeholders included Council, Victoria Police, Chelsea Community Renewal and Scope Victoria. 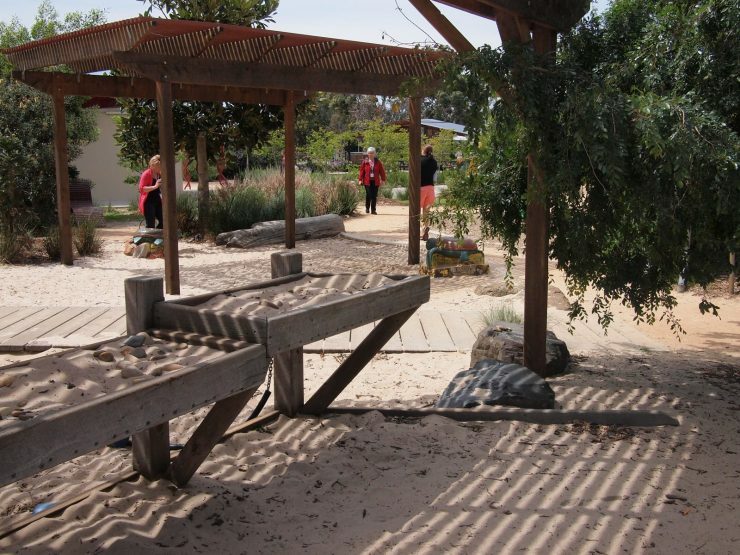 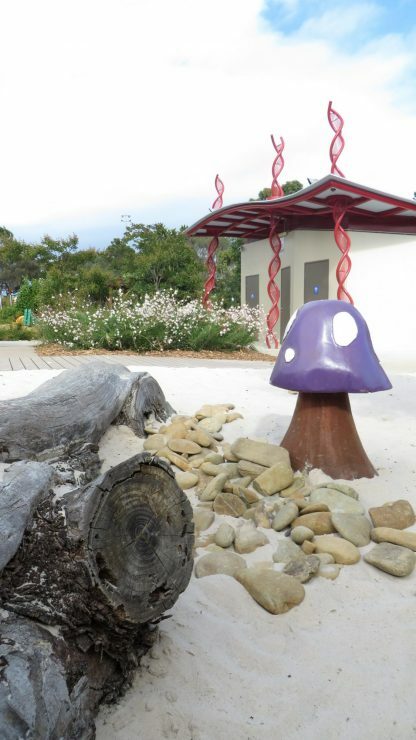 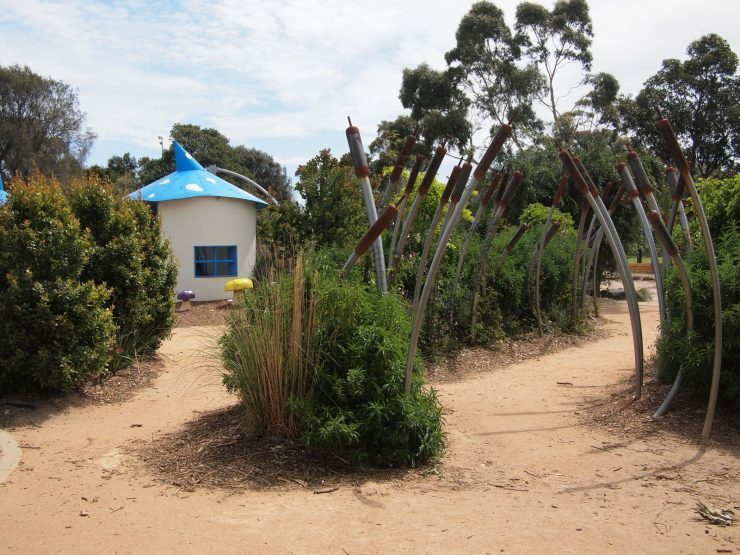 The new playground has a range of whimsical elements, settings and activities to offer to users of all ages and abilities. 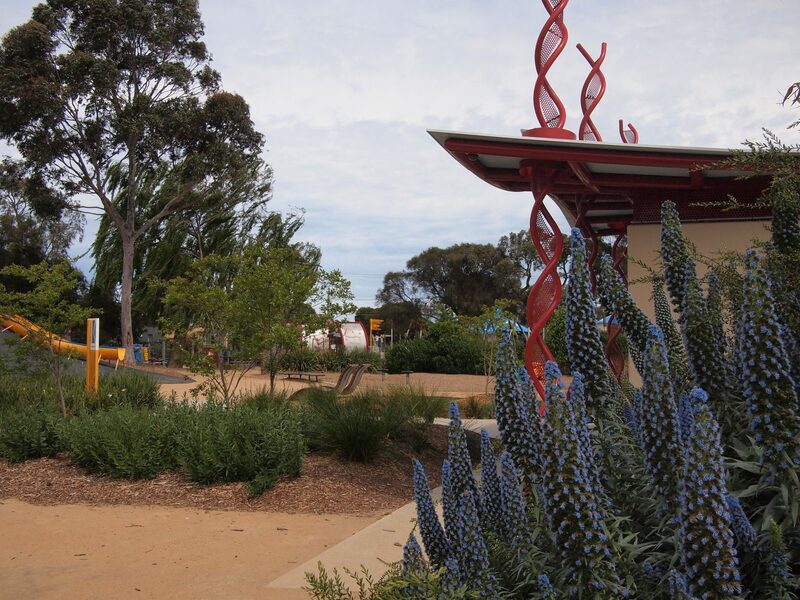 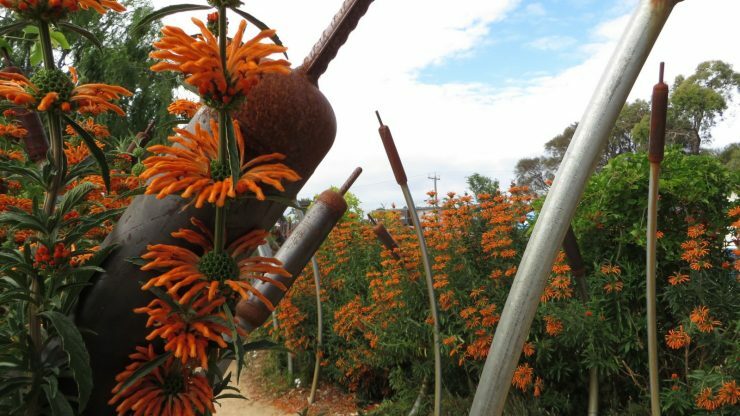 The design provides a seamless circulation system for movement between quirky spaces that bristle with art works, planting and open ended play elements. 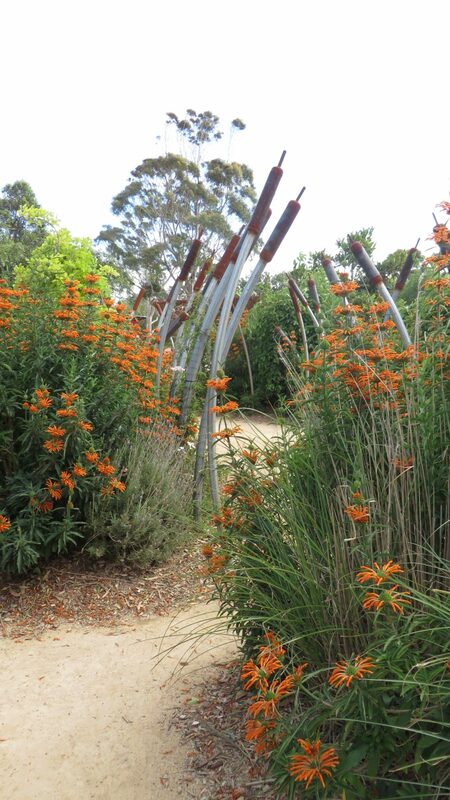 The overall inclusiveness of the design has been achieved in an understated way that does not ‘scream’ out to the visitor but is a subtle, unifying feature noticed and highly valued by those who need it. 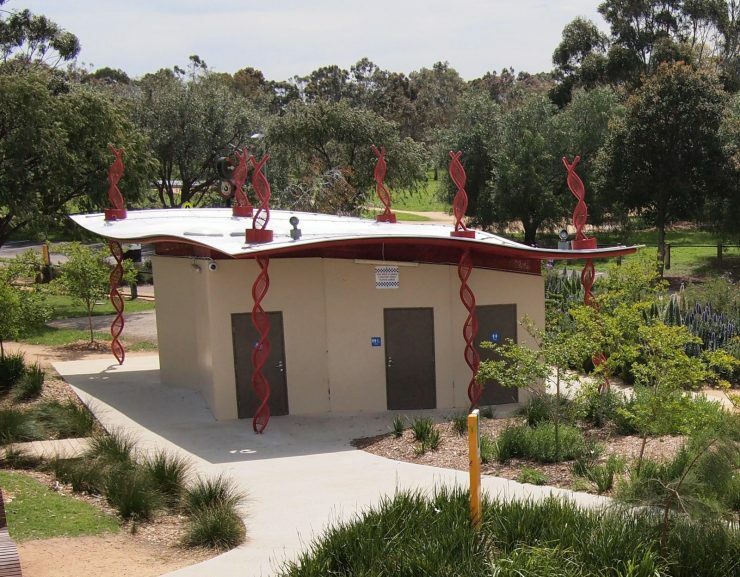 Apart from the many inclusive play elements, all picnic shelters, seating and social areas, drinking fountains and toilets are fully accessible. 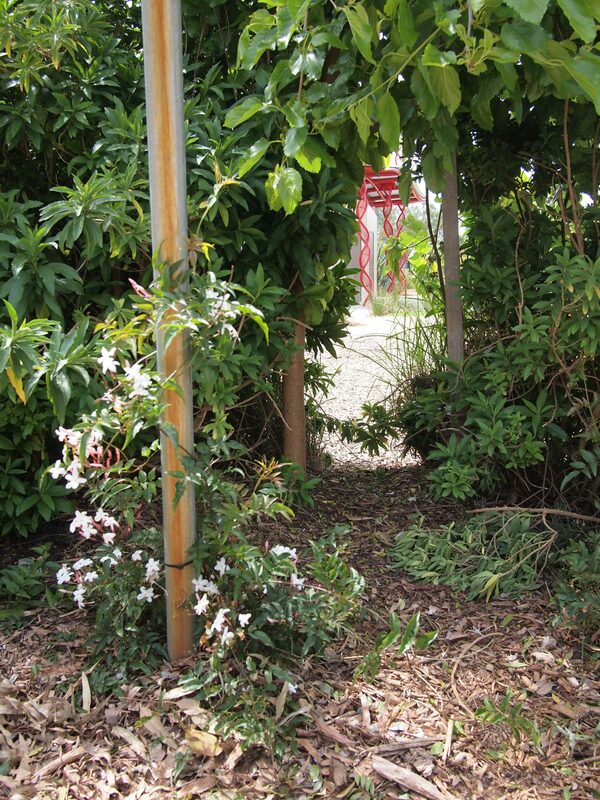 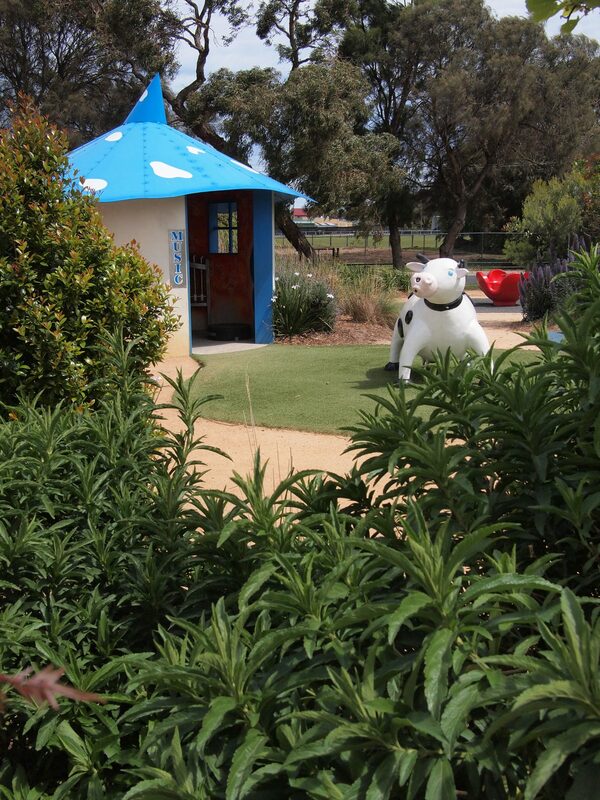 A perimeter fence provides a visible boundary, helping carers to supervise the children in their care.